Tired of Boring Text-based Twitter Walls? It's no secret people are more heavily stimulated by visual content than text. We've designed our Twitter wall with this in mind. Catch your audience's attention by utilizing our one-of-a-kind visualization. 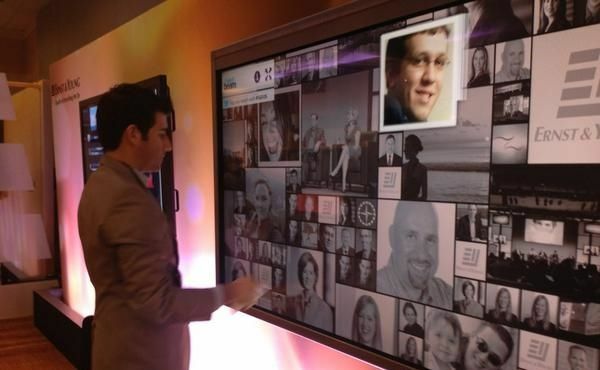 Turn your event into an interactive experience by letting everybody post messages and photos to your Twitter wall. Connect with the crowd and build a personal relationship with attendees. 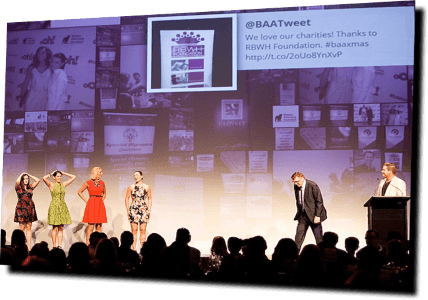 TweetBeam stimulates guests to Tweet about your business or event hashtag. These Tweets spread to their followers and through the Twittersphere, generating exposure for your event. TweetBeam has everything you expect from a professional Twitter wall, including moderation & advanced search. Sign in with Twitter and easily manage your shows and settings in the dashboard. Customize TweetBeam to reflect your corporate branding and location requirements. Use it as a Twitter wall for events, in your lobby, or embed it on your website. We understand you want to make sure everything is set up exactly as your business or event requires. Get in touch with us below and we'll be glad to walk you through the process of setting up your own Twitter wall.